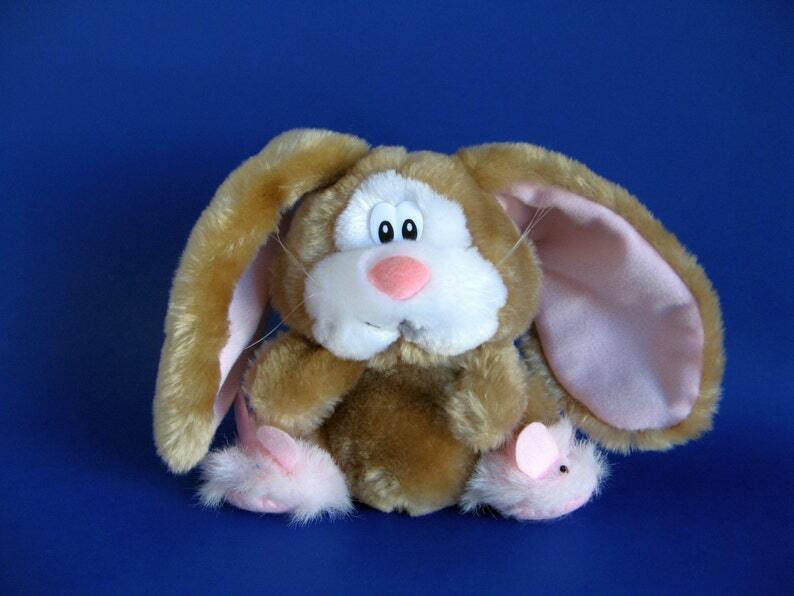 Really cute small vintage Bunny Rabbit stuffed animal by Applause. He is wearing fluffy pink bunny slippers! Super long ears with pink underneath. He was made in 1987 and still looks wonderful.